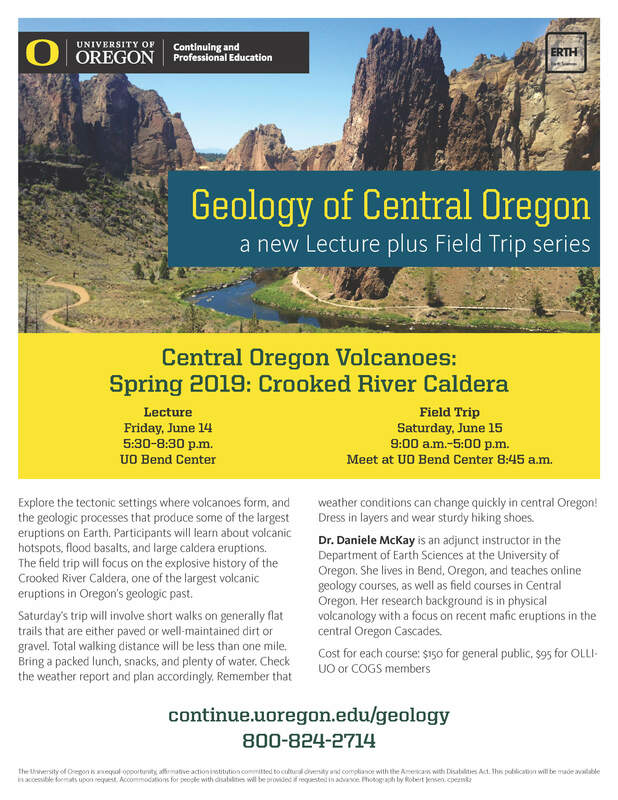 The Central Oregon Geosciences Society proudly presents our new Continuing Education Scholarships for educators teaching in Crook, Deschutes, and Jefferson Counties. This scholarship is intended to provide financial assistance to local educators striving to improve their ability to teach the geosciences to their students. These subjects include geology, volcanology, seismology, geomorphology and other related subject matter.